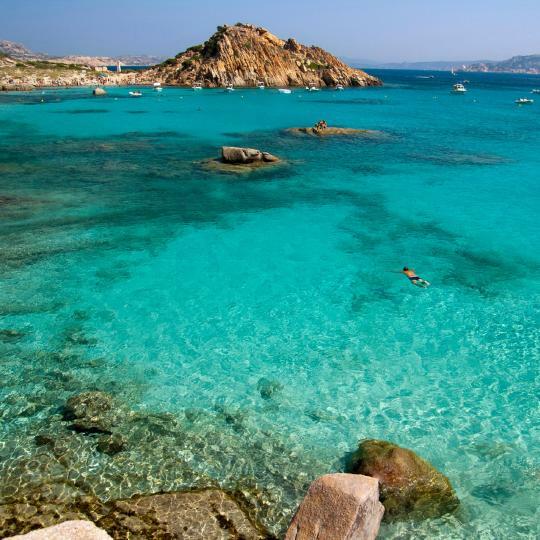 Stay in Sardinia's best hotels! Jazz Hotel is just over a quarter mile from Olbia Costa Smeralda Airport and just over 1 mile from the center of Olbia. It includes a swimming pool and air-conditioned rooms with an LCD satellite TV. Everything was great! Location, new hotel, nice and practical and modern rooms, good facilities and services! With a spectacular location in Porto Conte, El Faro overlooks the Mediterranean Sea and Capo Caccia. My girlfriend and I stayed for one week at El Faro. The location of the hotel is amazing. It’s a very short trip (15 minutes) from the airport and the city of Alghero. The entire hotel staff from the front desk, the transfer drivers, the lifeguards, the waiters and waitresses, bartenders, were all extremely nice and helpful. The breakfast every day is amazing. I’m American and my girlfriend is Italian, so we both like a different kind of breakfast, and they had everything you could possibly want. You also get to enjoy it with a great view of the sea. The beach is great, there was always nice spots to sit with shade and sun. You can rent kayaks, snorkel gear, and even a boat (which we did and definitely recommend) directly from the lifeguards. We really loved our trip to Sardegna and we would definitely stay at El Faro Hotel again! Suimi's Hotel has free WiFi and rooms with air conditioning in Villasimius. Among the various facilities are a seasonal outdoor swimming pool, a garden, as well as a bar. A perfect stay from arrival to departure!! Claudia is a a very hearty host, she made us feel good from the minute we arrived. The pool area is lovely, the rooms very cozy and the breakfast was great! A short waking distance to the beautiful beach Spiagga di Simius. I would definitely choose Surimi's again, if I am lucky enough to come to Sardegna again. Hotel Maria features free WiFi and views of city in Golfo Aranci. Among the various facilities are a terrace and a shared lounge. The property has a 24-hour front desk and a tour desk for guests. Very pleasant staff. The cleanliness was exceptional. Featuring free WiFi throughout the property, Relais Villa Carola is located in Porto Cervo. Free private parking is available on site. Nice, clean, friendly staff, parking space, good breakfast - everything very very good! Domu Simius Hotel&Guest House is offering accommodations in Villasimius. Among the various facilities are a garden, a terrace, as well as a shared lounge. The hotel itself was amazing. The location is brilliant - 2 minute walk to restaurants and shops and a 15 minute walk to a lovely beach. The best part of this hotel by far is the staff. Stefano and the team we're overly helpful, couldn't do enough for you and were a joy to be around. Couldn't have asked for better service! Hotel Barbagia is located in Dorgali and has a garden and a terrace. Among the various facilities of this property are a shared lounge and a bar. Free WiFi is included. We stayed at Hotel Barbagia 3 nights at the end of our trip. Everything was just great. A beautiful peaceful place in the middle of nature, a short drive from Cala Gonone. Very friendly and helpful staff. Comfortable and spacious room, great breakfast and coffee. Dinner was AMAZING!!! Excellent Sardinian menu, it was the best food we ate during the whole trip. Try the wine Nùrule Riserva Cantina Dorgali, one of the best!! Value for money, highly recommended. Many thanks to Caterina, Fabrizio and Mara, you made us feel so welcome. Teku Sardinia Boutique Hotel in Bari Sardo provides accommodations with a garden, a terrace and a shared lounge. With free WiFi, this 3-star hotel offers luggage storage space. Modern, well equipped and lovingly designed boutique hotel with a beautiful garden. Teku has a great concept with an open bar/living room area with free drinks and aperitivo all day. The breakfast offerd a large variety of delicious healthy, sweet and savoury options - the home made cakes were our favourite. But the best part of Teku is the wonderful host Fabrizio and his wife Caterina who really made us feel like at home and turned our stay into an unforgettable experience! Thank you so much! Nestled amid the rolling hills of the Sardinian countryside, the hotel features panoramic views over the picturesque surroundings. Guests can enjoy a seasonal outdoor swimming pool . The size of the room, the balcony, the breakfast. Family-run Marie Claire hotel is a new building located in the center of Lanusei, a charming town surrounded by natural landscapes and close to a stunningly beautiful coastline. Just perfect ! We were welcomed and treated in a unique way. Enjoy the view across the center of Olbia from the roof terrace at Hotel Panorama. This 4-star hotel features a luxury wellness center and fitness center. Free parking is provided nearby. The views from the room were excellent. Featuring a seasonal outdoor swimming pool and views of city, Kkult Boutique Hotel is located in Olbia, 1.2 miles from Isola Bianca Harbour. This 4-star hotel offers room service. The room was stylish and the bed was incredibly comfortable. Providing free WiFi and a bar, Maison et charme hotel boutique offers rooms in Olbia, 1.1 miles from Isola Bianca Harbour. Best location in Olbia. Quiet street with no cars, but only few meters away from the main street. Located in Siniscola, Hotel I Narcisi features a garden, terrace, bar, and free WiFi. This 3-star hotel has air-conditioned rooms with a private bathroom. Every room includes a balcony. Villa Santadi in Santadi has 4-star accommodations with a garden and a shared lounge. All rooms have a flat-screen TV with satellite channels and a private bathroom. It’s a place you wont find anywhere else! Perhaps even in Europe!!!! Featuring a garden, Giardini Malaspina is located in Bosa. Offering a restaurant, the property also features a terrace and a bar. Free WiFi is available. Fantastic place, nice house for 2 rooms, friendly staff and good restaurant in the place. Located in Lanusei, Hotel Belvedere has a terrace and shared lounge. This 3-star hotel offers a 24-hour front desk, an ATM and free WiFi. Lovely family run hotel with lovely views right down to the coast. Located in Fluminimaggiore, La Casa Sarda has a garden, terrace and shared lounge. Featuring a 24-hour front desk, this property also provides guests with a restaurant. Very nice owners. Excellent food. The room was comfortable and quiet. Offering a garden and a terrace, Hotel La Tartaruga Bianca offers peaceful and quiet accommodations located in Valledoria, within 1312 feet from the beach. Free WiFi access is available in all rooms. This family is very warm and welcoming. Located in the historic center of Terralba, La Corte di Lucina is a 2-minute walk from the Cathedral and 328 feet from the bus stop linking with the train station. The T Hotel is an ultra-modern hotel in central Cagliari, across from the Lyric Theatre. It has contemporary rooms, a stylish bar and the T SPA hydrotherapy spa area. Room & the panoramic at 11th flr its breathtaking. Hotel Carlo Felice is located 1.9 mi from Sassari city center and has free on site parking. It offers a restaurant and rooms with wooden floors. WiFi is free throughout. The staff was very friendly, always smile. Located in a quiet part of Alghero, 2625 feet from the historic center, Angedras is a spacious hotel. It offers free WiFi, and a panoramic terrace and on-site bike rental service. Location excellent. Staff very good & so nice. Very nice breakfast. Mariano IV Palace Hotel is in Oristano center, a 10-minute walk from Oristano railway and bus station. It offers free Wi-Fi, a bar and a restaurant serving Sardinian specialties. Fantastic hotel with great stuff and the amazing character of an old world hotel. Mistral2 Hotel is set in the center of Oristano. It offers a large swimming pool and a free parking garage. WiFi access is also free here. Loved this place and will go back. The restaurant was amazing! Take a dip in the cool crystal-clear waters of the Mediterranean Sea. Cruise around these stunning islands, famous for their clear waters and unspoilt nature. Try out the Sardinian roast piglet, dumplings and cheeses, topped off with some local Cannonau wine. 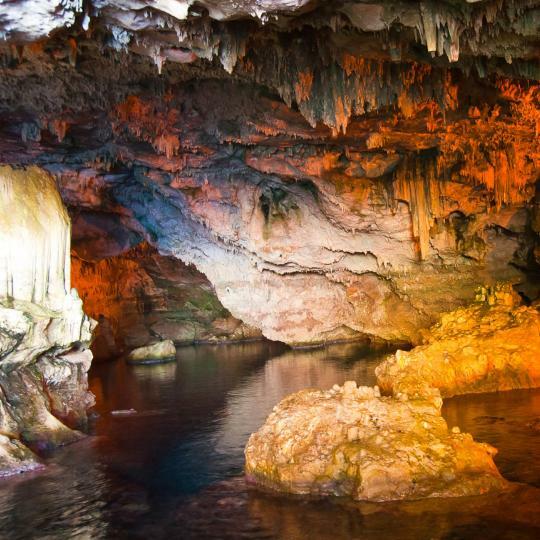 Dedicated to the sea god Neptune, these stunning caves will take you into an enchanting world. 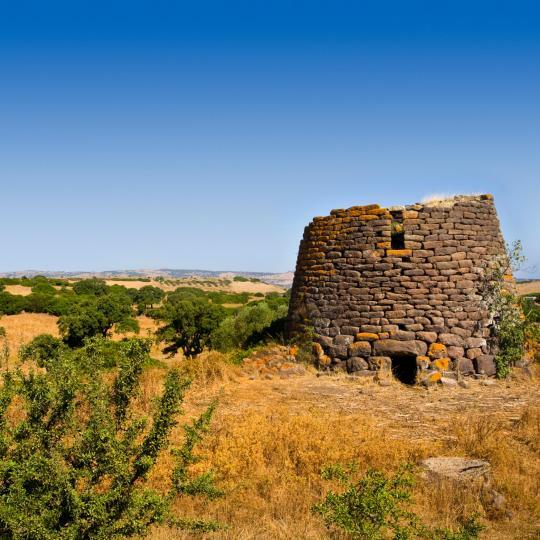 Visit these prehistoric stone structures from the Nuragic Age, evidence of Sardinia's ancient civilisation. 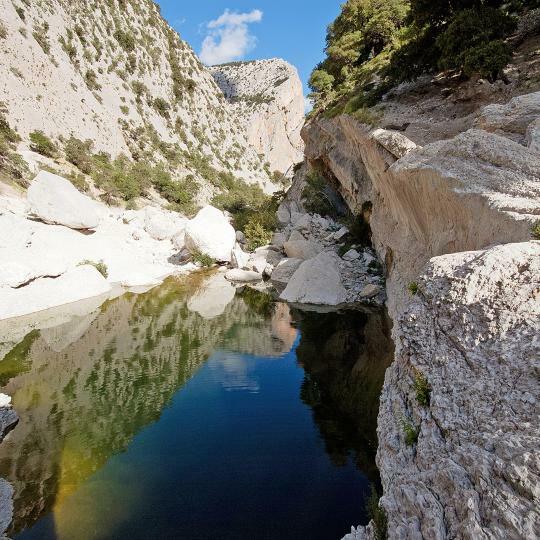 Hike across the deep Gorroppu Gorge, or to the ancient Tiscali village built into the mountain. 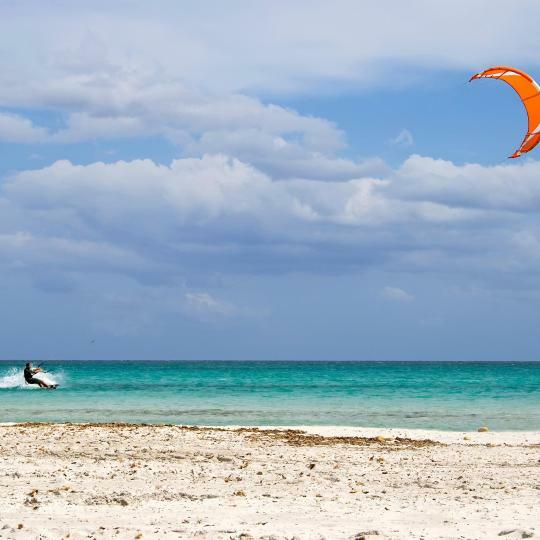 The mix of calm and wavy waters and a steady wind makes Porto Pollo a perfect natural gym. 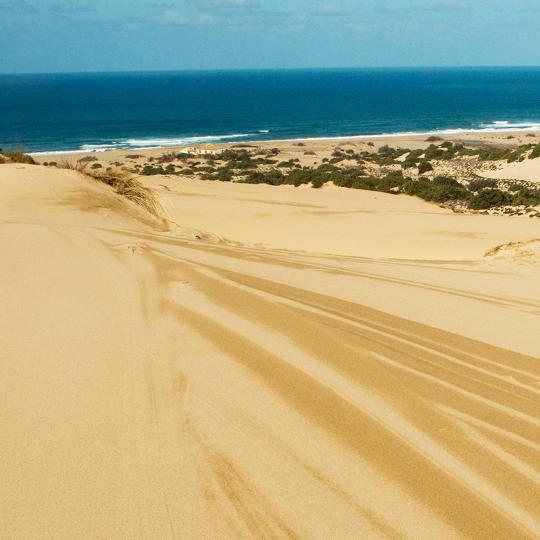 Constantly reshaped by the mistral wind, these golden sand dunes stretch along the Costa Verde. 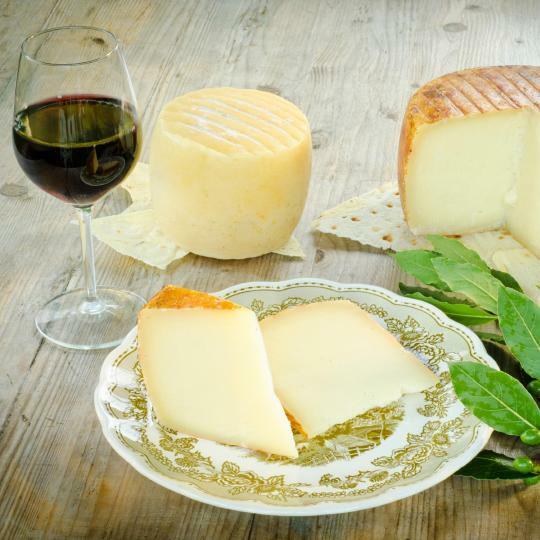 After discovering Orgosolo's mural tradition, you can enjoy a typical lunch with local shepherds in Supramonte. 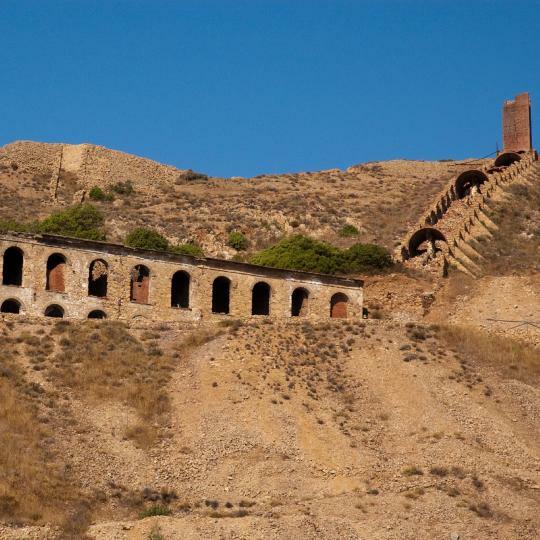 These abandoned villages in Sardinia recount the story of life in the mines. 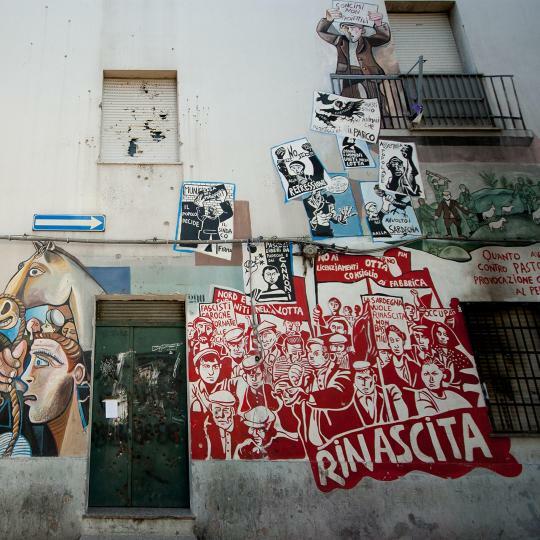 Macomer is a non-tourist town in the middle of Sardinia. So much to see and great diversity of geography, from coastline to mountains to dry plains inland. Neptunes Grotto, the many Nuraghi, Castlesardo, and Cala Gonone alone with Alghero are the highlights of our 6 day trip to Northern Sardinia. Driving along the coast provided many stunning panoramas. A huge recommendation to follow! A huge recommendation to follow! ::: You Must Must must come to this island with a car or come with a car pre rented to be able to see anything and get around at all! This is a great and very economical and central point to stay at as your landing base and then explore all the different parts of Sardinia ! You really need a car to explore, public transportation is scarce & taxi was expensive. There is no uber in Sardinia. We liked that it was on the cheaper side in terms of cost since the Sardinia especially the coast can be really expensive. Lots of Grocery markets and cheap eateries. The parking ticket officers are really strict so know the local parking rules! The unique landscape with the mountain of steep cliffs meeting the blue sea with its crystal clear waters, it's a beautiful and amazing place, we are glad we visited this part of Sardinia. This was our first time to Sardinia so we don't have anything to compare it to, however we thought San Teodoro (the town) was a great medium-sized town with more than plenty restaurants/shops to choose from! 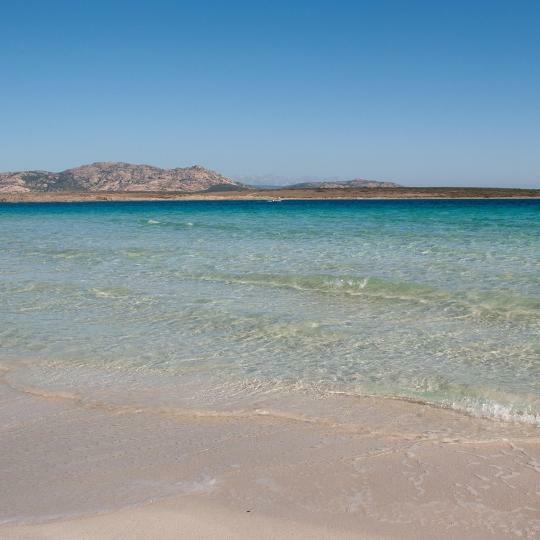 The region San Teodoro seems to have many amazing beaches and lots of other historical/cultural things to see/do. A quick drive from the airport too which was nice! Lovel unspoit by tourism corner of sardinia,, try the pizza house on the main high street, very reasonable,freshly made,hire a car if possible,get off the beaten track and get a good map and guide book. The city was only a part of our itinerary in Sardinia. Beautiful part of Sardinia. Had we stayed longer, we would have explored more of the coast by boat and done some hiking. May was agreat time to be there, because there were no crowds, the weather was mild, and the wildflowers were in bloom. Since I wrote this review a few times now, will just sum up, the hotel is located in maybe the most strategic point of Olbia - being between the port and city center, and only of couple of km away from the airport and some of the most beautiful beaches in Sardinia, with direct access to the main road network and shopping malls etc. The personnel is extremely professional and helpful, the property is clean, very high quality of the furniture and the finishing, all amenities in great state. Great breakfast, too. Lovely stay! The owners went above and beyond, helping us arrange a car hire that dropped off, arranging shuttle to airport (cheaper than taxi). The pool is a beautiful oasis and it was very quiet during our stay in late September. Well equipped apartments with terrace and kitchen. Location is good but I’d say a car is a must to explore northern Sardinia properly! Very very happy with our stay. Also great how organised their recycling and rubbish containers were, good to see!!! About 15-20 minutes walk to the old town but the walk is very pleasant along the seashore. Every staff at the hotel we met was helpful, kind and polite. A big thank you to Elisabeta who gave us great advise to visit Sardinia with our kids. To Massimiliano for his professionalism, the breakfast ladies for their kindness and service and for the housekeeping team to look after our room. We enjoyed a lot our stay and kids too. We will come back!! Highly recommend this hotel. The owner Gianni was a great host. He is a great person - very friendly and helpful in explaining local sights and provided us with all the necessary things at the hostel. He was also very happy for a nice chat during our breakfast. We also loved that we had a comfortable balcony in our room. Close to our flat (ca 5 min walk) we discovered a very cheap local pizzeria called "Sergio´s". There we ate the best tagliatelli dishes during our Sardinia trip. We had a wonderful room with a balcony, which was supposedly not the ocean view one, but we still had an ocean view even from the back of the building. The room (especially the bathroom) was nice and clean. The hotel is in the port, conveniently next to the boat rentals (I highly recommend that as the most beautiful beaches in Sardinia are reachable by boat from Cala Gonone), and it also has a terrific restaurant overlooking the ocean. The apartments are amazing! Our host help us in every question we have, he is very hospitable! There are many grocery shops nearby (Iper Pan, lidl, even Auchan ), if you use car, there is a parking in the front yard of house. To the city you can can by tram or bus, if you like walking, as we do, it is 3-4 km to the center of Cagliari. We really enjoy our trip to Sardinia and I definitely recommend this apartments! The location near a nice beach and the river Coghinas is perfect, the apartment is comfortable, we also liked the small patio with table and chairs. The small town San Pietro a Mare is lovely, it is nice to walk along the sea shore and through the few streets. Valledoria is busier, with more traffic and light pollution in the evening. The place is a great starting point to explore the northern part of Sardinia. The studio apartment was great - spacious, comfortable bed and a nice balcony. The staff were very friendly, knows the area and can offer lots of help and advice. Easy to explore locally and visit local mountains, beaches and Castelsardo ( which is a beautiful medieval town), and would personally recommend a car to get around. the local beach at La Ciaccia is fine but by no means the best in Sardinia. Centrally located, simple, clean hotel with a very good and popular trattoria. Room and bathroom were both compact but quite comfortable. The main Plaza is just a short stroll away, with many other dining options. It is the cleanest town we have seen in Sardinia - no rubbish and no graffiti !! The host was really nice and caring(Too bad we did’t get to chat more). The breakfast was tasty and nicely prepared. The room and the whole property were so elegant and clean- one of the cleanest places I’ve experienced in Sardinia (the other clean place like this was a 4 star hotel!). They gave us superior apartement instead of regular, the place was very nice, with perfect small beach nearby. We were off-season and I would recomend it strongly, I cannot asses how it is in season, then there are many turists. Among 3 hotels we stayed in Sardinia this was top pick. Beautiful old large Sardinian family home converted to hotel and hosted by 2 of the siblings who were most friendly, engaging and helpful. Great breakfast. Wonderful experience. Thoroughly enjoyed our stay. Lovely spot close to the beach, easy walk to town, apartment was roomy, clean and comfortable. Very family friendly and safe. Hosts were very accommodating as well. It was our home in Sardinia. The balcony was nice. Yet, a nice balcony does not make up for the overpriced fee they charge. Staff was OK. Sardinia is nice, the sea is beautiful, but the hotel was disappointing. Everything! The staff, the room, the location.. perfect. Most hotels in sardinia are old, this one was new and above expectations. I like a size of room, bathroom, balcony, hot tube and breakfast was amazing.